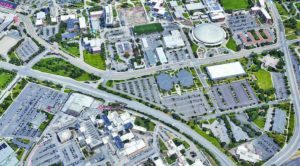 As the university continues to grow and improve its campus facilities, the need for adjustment and reconfiguration is often necessary, especially as construction projects impact roadways and parking areas. Commuter Services is committed to helping ease these transitions by keeping campus informed and will do everything possible to mitigate any inconveniences that students, staff, faculty and visitors experience as this exciting, yet challenging, growth continues. Several changes are taking place this fall, see how they might impact you. 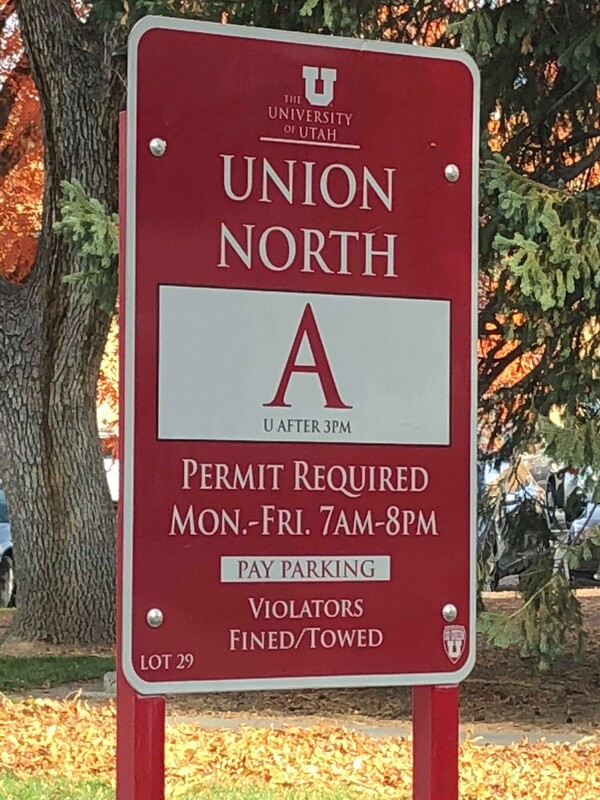 ‘U’ Permit Parking in ‘A’ Permit Lots after 3 p.m.
Students and staff who have a ‘U’ parking permit are allowed to park in designated ‘A’ permit parking lots after 3 p.m. Not all lots have this accommodation, so please take care in reading the signage posted in the lot. If an ‘A’ lot sign includes the phrase, ‘U After 3 p.m.’ you are allowed to park as stated. Certain ‘A’ lots are reserved for faculty and staff with ‘A’ permits who work afternoons or evenings. These lots are signed accordingly. For more information on any of these changes in parking or to obtain a permit, visit Commuter Services online or call 801-581-6415. The construction of new student housing near the Annex will begin shortly. In an effort to help students, faculty and staff who park in this area find a new place to park, the following areas have been identified with available parking for A and U permits. These lots include the Institute Garage top two floors, the lots just south and east of the Institute Garage and the Guardsman Way lot just west of the VA Hospital. Two new parking areas are being developed, one to open in mid-November and the other in spring 2019. 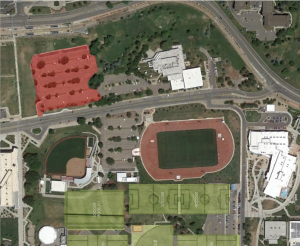 The lots are located to the north and the east of the Eccles Broadcast Building and will be accessible via South Wasatch Drive. Both A and U parking permit holders may use these lots. The Eccles Broadcast North Lot is on track to open in mid-November and will contain 440 parking stalls. 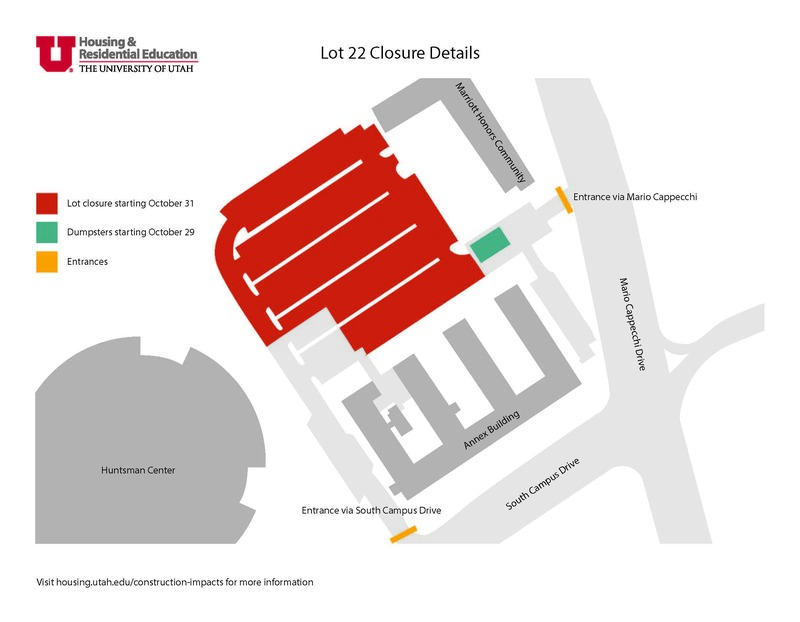 Next spring, the Eccles Broadcast East Lot will open, offering an additional 260 stalls. 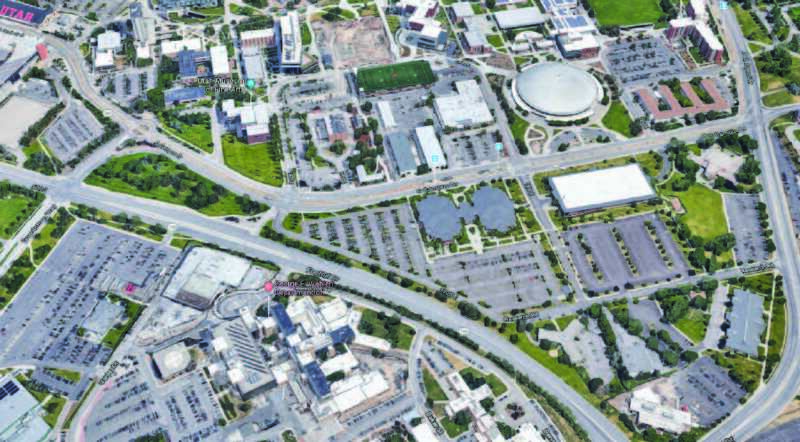 Together, the lots will contain 700 parking stalls, helping to replace stalls lost in other areas of campus. The intention of these new Eccles Broadcast Lots is to serve primarily the hospital and health science employees and students. This will make it easier for staff not to cross Wasatch Drive to catch the shuttle and offers a safe walking option. Essentially, we are seeking a shift in parking routines. Those who typically park in the East Engineering Lot should now park in the new Eccles North and East Lots. Those parking in the HPER area will now shift to the East Engineering Lot. “Our goal is two-fold,” said Gordon Wilson, associate vice president of Auxiliary Services. “We want to provide a better and safer pathway for the university’s medical and health science staff, who have historically parked in the East Engineering Lot, and also provide more parking for lower campus. 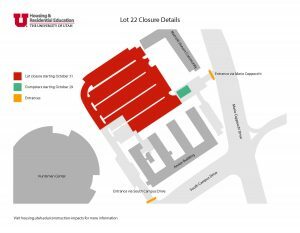 Shifting to the Eccles North Lot will be much more convenient for medical and health science staff and consequently, it will open up the lots north of U-Star for lower campus to use. 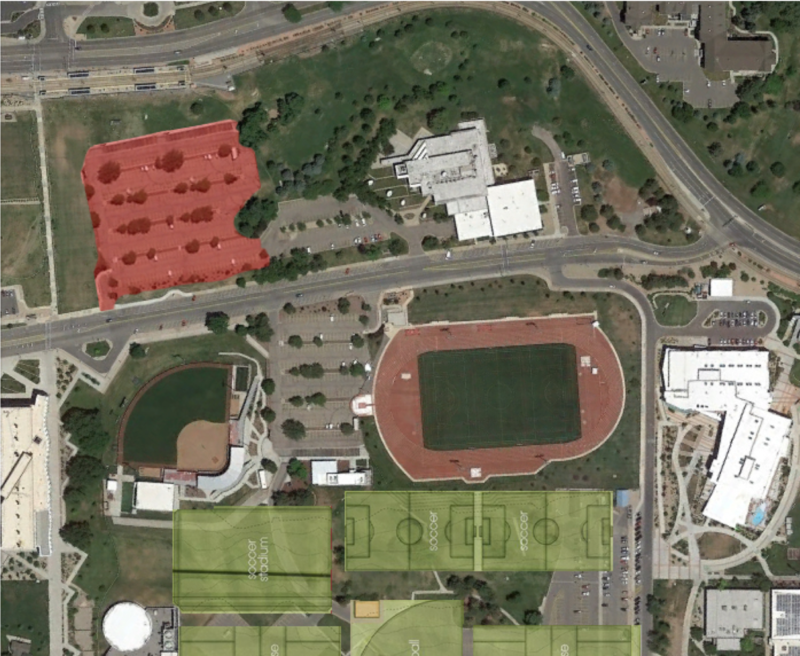 We feel it will be safer for students not to cross Wasatch Drive,” said Wilson. In both cases, shuttle pickup stations will be altered to accommodate those who choose to ride to their destination. 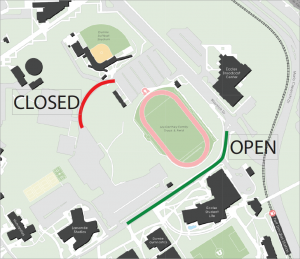 Those who park in the center of lower campus near the HPER and Lassonde housing units will be affected by construction of the new Soccer/Lacrosse Stadium. 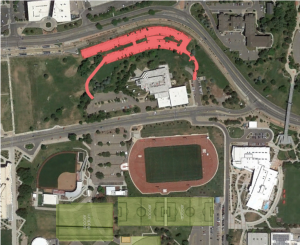 Starting this week, the north road from Wasatch Drive will dead end at the Softball Stadium and Ski Team Building. Access to the HPER lots will only be available through the south road near the Student Life Center. The grass overflow parking will soon end as the weather makes it impossible for students to park without getting stuck. If you park in this area, we encourage you to park in the Engineering East Lot just north of the current HPER parking. Access is from Wasatch Drive onto Exploration Way. Effective Nov. 1, the Central Garage will no longer accept A and U permits and only house CA and CU permit parking. A and U permit holders have several other options for parking—the ‘tailgate lot’ on Guardsman Way, the East Institute Lot and the nearby Mario Capecchi East Lot. All of these changes are the result of campus growth and construction and Commuter Services is working to meet the needs of the university community. As always, alternate forms of transportation to campus are strongly encouraged. Remember, your UCard is your ticket to ride for free on campus shuttles, UTA busses and TRAX. Using public transit, even just once a week, can make a significant impact on parking resources, air quality and your personal budget.